When you need work completed around the house, be it remodeling or cleaning, you can now rely on task directory sites. They give you access to thousands of professionals, who all offer different skills and rates that you can select from. TaskRabbit is a leader in this industry, but it’s not the only online task directory that you can use for quality, reliable help. There are, in fact, a variety of websites that work just like TaskRabbit. Here are just a couple, including a list of services, benefits, and experiences you can expect from each one. 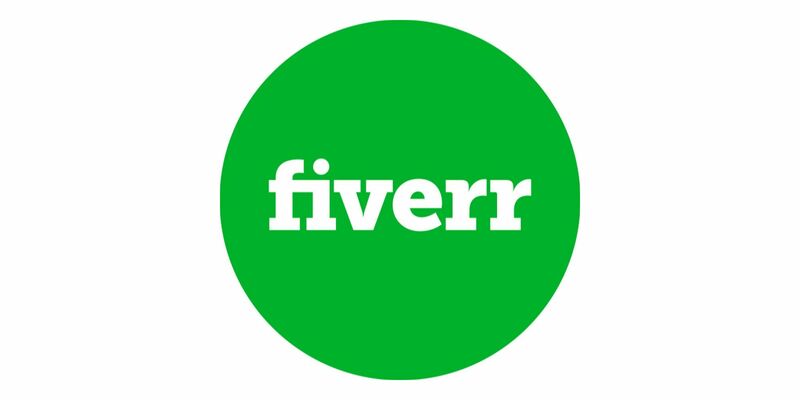 Fiverr was founded two years after TaskRabbit (2008), and has since grown into an extremely popular platform for freelancers offering a wide variety of services. Using Fiverr is very similar to TaskRabbit. After creating a profile and designating what you want done, you’ll have access to hundreds of sellers. It is these sellers that will be uploading their gigs for buyers, like yourself, to purchase. Gigs start out as low as $5 and gradually increase the more difficult the gig is. You have the option of customizing the gigs already listed, for an additional fee. You can also buy gigs in packages, depending on the scope of your project. You can purchase basically any type of gig, as long as it complies with Fiverr’s terms of service. When it comes to working with sellers, there are multiple levels you can choose between. Newer sellers won’t be able to create as many gigs, compared to sellers who have a proven track record and have been active on this platform for years. If you’re looking for high-quality work, selecting a top-rated seller is your best bet. These sellers consistently keep a high star rating, which is based on reviews from previous clients. Sellers who consistently rank high also have little cancellation rates, a high volume of sells, and exceptional customer service. All in all, you don’t have to worry about what you’ll get when working with these proven Fiverr veterans. There are many advantages to using this freelance job platform, whether you need banners created or a website developed. For one, the entry to working with qualified professionals is relatively low. As stated above, the starting rates are around $5. So even if you’re not satisfied with a seller’s quality of work, you’re only out $5. You can also rate sellers negatively who failed to deliver what they promised. This gives fellow buyers clarity and helps them avoid making the same mistake. The seller’s reputation is essentially in your hands, and often times, this results in better work compared to other freelance job platforms. Fiverr also lets you choose from a wide assortment of gig types. There are so many creative sellers out there, who can give you exactly what you’re looking for. To find the right professional, you just need to search the right category. They are conveniently located at the top, and after clicking, you can select a particular focus. One of the largest freelance marketplaces is Upwork, originally known as Elance-oDesk. It has been around since 1999, created by Beerud Sheth and Srini Anumolu. The online platform seems to tailor more towards business professionals looking to grow their customer base and enhance their overall presence online. Some of the major contractors you can get assistance from include designers, writers, customer support reps, and programmers. Instead of searching through hundreds of profiles – a time-consuming process – all you have to do is post a job. You’ll provide some details about what you want done and the target budget you have in mind. Then, Upwork uses innovative algorithms to pinpoint more than qualified freelancers. A shortlist of candidates will show up, which you can assess in great detail. If you’re not happy with the list, you can still search for freelancers manually until you find a good fit. Added protection is given to every customer looking for freelance work thanks to Upwork’s verification and screening processes. It involves vetting professionals via online skills tests and email verification. Users can also view feedback from previous clients to help them make a more informed decision about a particular freelancer. Lastly, custom questions can be created to ensure a freelancer possesses the exact skills you’re looking for. Once you’ve narrowed down your list of professionals to just a few, you can follow up by chatting with them online. Important details can be learned during these conversations, such as their years of experience and their pricing models. If you discover relevant details that are not up to your standards, you can always walkway with zero penalty. A chief feature that stands out with Upwork is a shared workspace between you and the other freelancers working on your project. This makes it extremely easy for you and other freelancers to stay in touch, as well as share important documents that will impact the project’s success. There are many ways you can communicate using these shared work spaces, including text, chat, and video. With so many options, you can choose a method that you’re most comfortable with. In terms of payment, there are two methods you can choose: per hour and fixed price. Per hour may be best when the project isn’t as extensive and won’t take as long to complete. Conversely, if the project is expected to take place over the course of several weeks, or months, a fixed pricing scale may work better so that you don’t go over budget. You don’t have to worry about calculating any exchange rate when working with professionals outside of the United States. Upwork will take care of these global payments for you, so you can just focus on getting important freelance tasks completed on time. Additionally, you don’t have to worry about a freelancer charging you unfairly. This is because payments only go through for work that you authorize in advance. Having this comfort is important, because after all, you never really know what a freelancer’s intentions are. One of the newer online communities currently thriving, that gives customers access to a plethora of services, is Thumbtack. Established in 2009, this network helps consumers get tasks completed in an efficient, professional manner. Thumbtack’s secret to success is clearly working, which was on full display when Google made a $100 million investment. When you first sign up, you’ll be prompted to answer a few questions detailing what type of professional you’re looking for. Within several hours, you’ll get free quotes from professionals that Thumbtack thinks would be a good fit. Then, you can compare professional profiles for as long as you want – analyzing rates, reviews, and overall quality of work. Just like TaskRabbit, Thumbtack offers a $1 million property damage protection policy that gives their users a peace of mind when working with unfamiliar freelancers. To prevent this damage from happening from the first place, though, TaskRabbit offers a guide for searching through professional profiles. They first recommend planning out your project, from the end result you’re looking for to how much you’re willing to spend. The more information you can provide these professionals about your project right out of the gate, the more in sync both parties will be. Then, it’s more likely that you’ll be happy with the finished product — whether it deals with repainting your house or cleaning the driveway. The company also recommends asking as many questions as you can during the first chat conversation you have with freelancers. Any confusion or gray areas can thus get addressed to ensure the project starts off on the right note. In addition to assessing different freelancer profiles, you can analyze pictures of the work that they have actually completed. You’ll then see first-hand how skilled, or not skilled, a freelancer is – letting you make an informed decision quickly. As far as this site’s pros, there are a lot that stand out. For example, you can access this site anytime with a mobile app. Not only is it intended to work with Android and iOS software, it delivers added convenience that saves you time and fast-tracks your projects. Searching this website is also streamlined and user-friendly. You can either click on popular job categories, or enter a custom search using the navigation bar at the top. Whichever option you choose, you’ll gain access to hundreds of professionals that work in your local area. When you need work completed by professionals, you shouldn’t just choose on a whim. You need access to experts you can trust, which the aforementioned companies provide. They all are simple to use and let you find specialists who are perfect for the job you have in mind. As long as you do proper research – checking profiles and comparing rates – you’ll be happy with whatever project or work is done. These job-directory companies are changing the freelance industry, and it’s time you found out just how beneficial they can be.